Do you need a change of pace in your home but don’t want to break the bank? Change your layout! 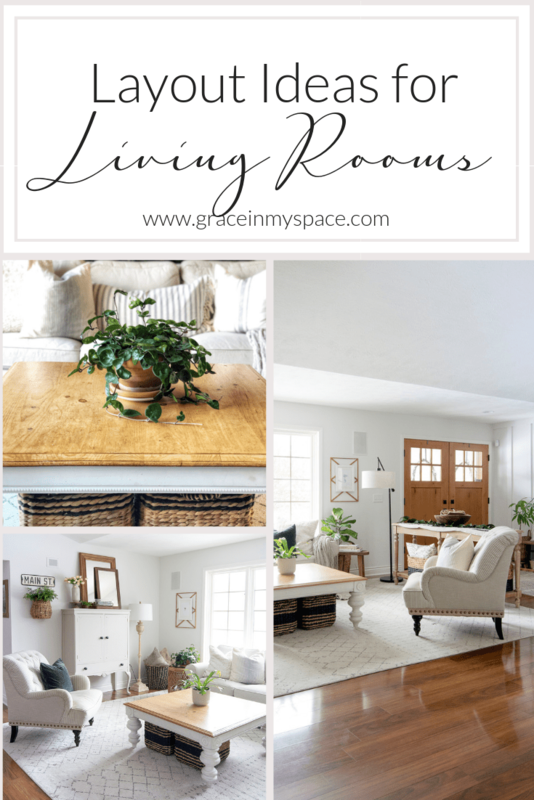 Today I’m sharing two ways to style farmhouse living room furniture! For a year we lived with our living room set up out in one layout. I enjoyed it and it worked well for us. Until one day I was itching for a switch! At first I thought it was the size of our furniture in comparison to our room that was bothering me. However, after deciding I didn’t want to have to go out and buy all new farmhouse living room furniture, I thought outside of the box! 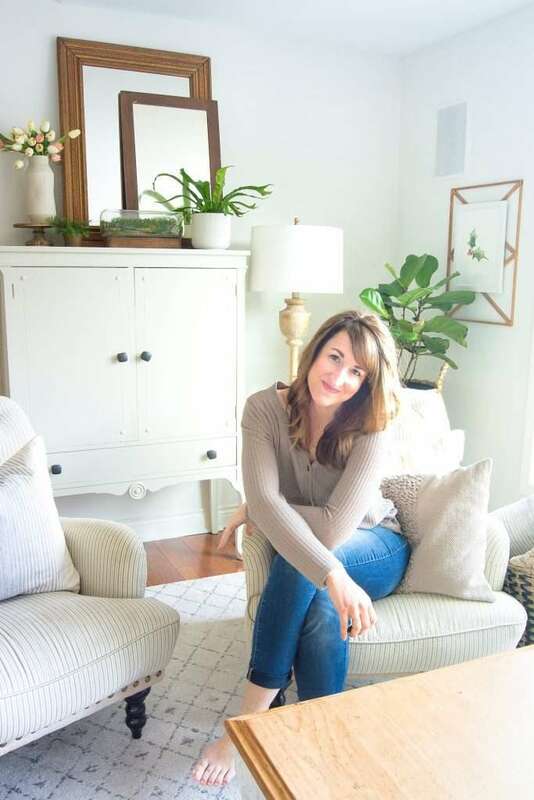 So today I’m sharing two ways to arrange living room furniture. They both work well for conversational seating and look balanced. However, I am partial to our most current arrangement! So let’s take a look. Our first arrangement positioned the couch (Ikea Ektorp in light beige) against our entryway console table. On the other side of the coffee table are two seersucker chairs and a makeshift pantry. 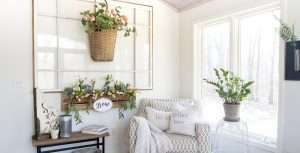 This layout worked well to allow our picture window to take center stage and let in ample light. It also worked best for the size of our room since our large 10×15 rug has more length than width. 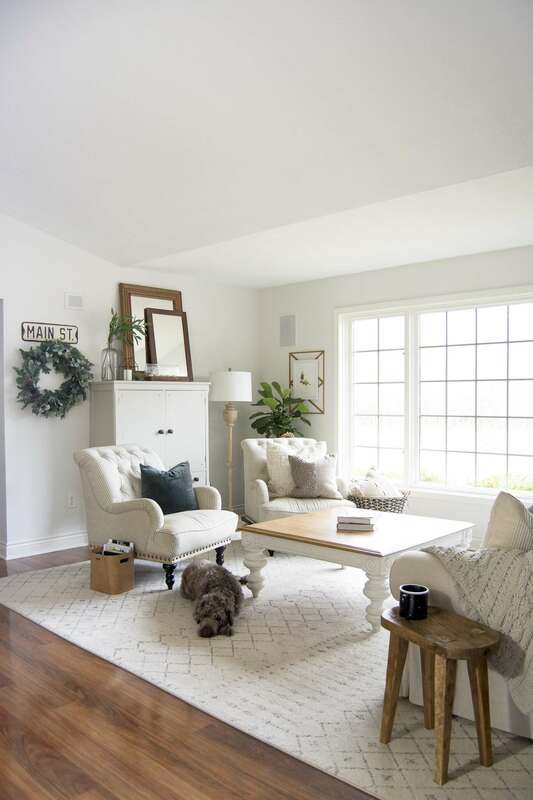 This layout allowed all the farmhouse living room furniture to sit nicely on top of the rug with ease. 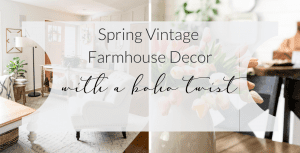 You can see more shots of our living room arranged in layout 1 in my post on why I love the vintage farmhouse style. Next, here is layout option number 2! This layout positions our couch against the window with our chairs opposite. When we first moved in I didn’t even consider this layout because I didn’t want our chairs to have their backs to the rest of the house. However, after living with it for a month I’m loving it! 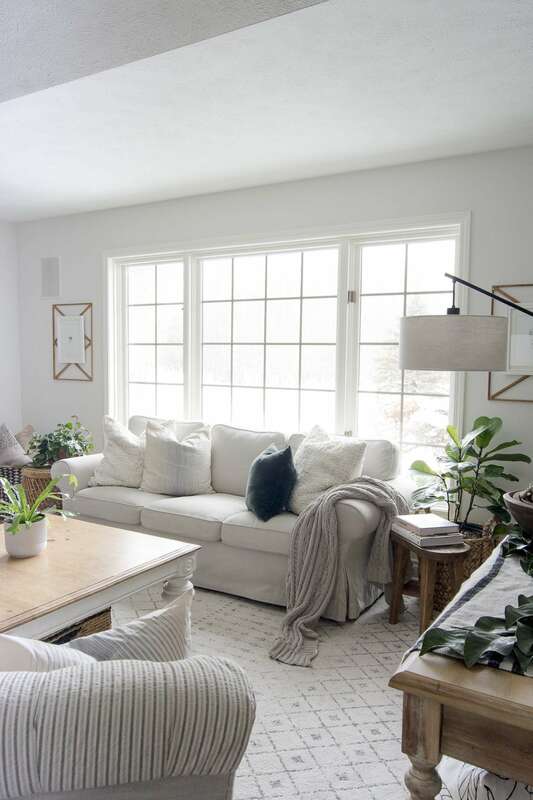 This arrangement actually feels more open and inviting because the furniture is more spread out. Plus, it doesn’t hurt that the backs of our chairs are actually very pretty. This layout also allows the entryway to feel larger. We are now able to see through into the entryway easier without the couch against the console table. 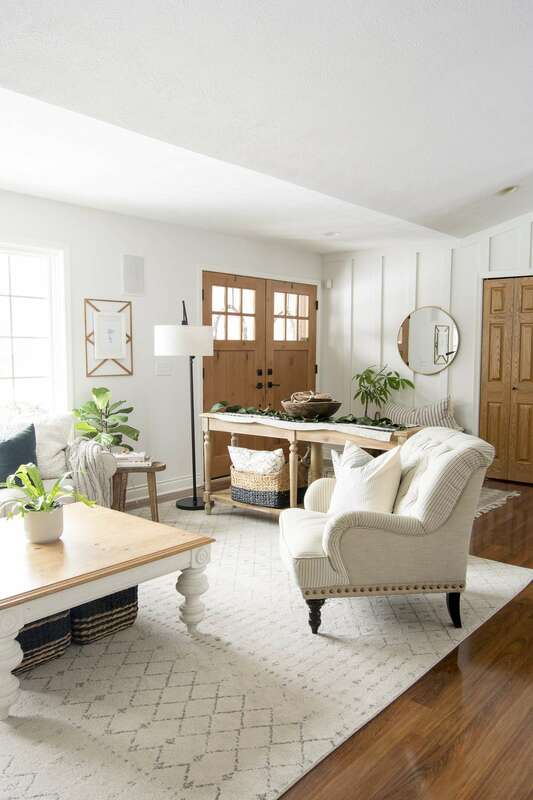 Now I’m loving how easy it is to highlight all my favorite farmhouse living room furniture without it feeling like the space is tight. And I’ve had fun decorating this new layout. 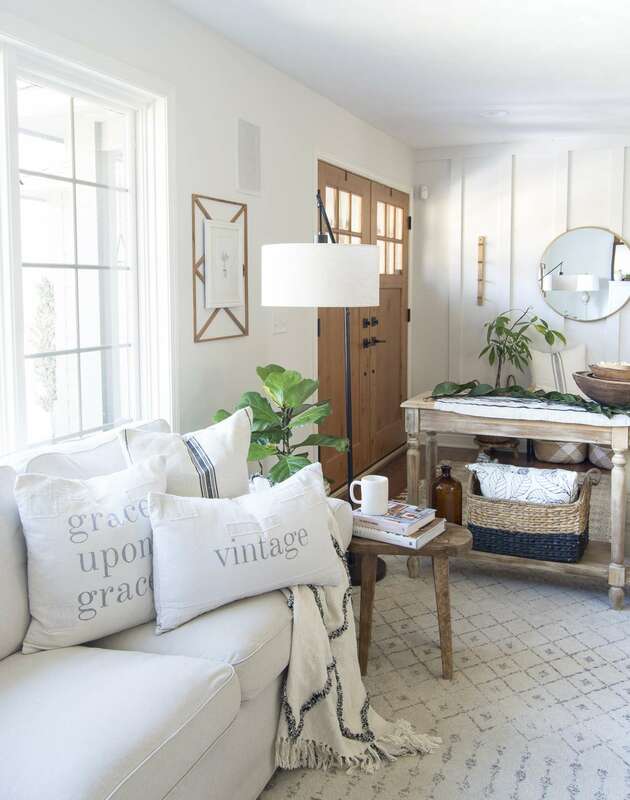 My favorite farmhouse pillows can be found here. Aren’t they beautiful!? New Living Room. 0 Dollars. 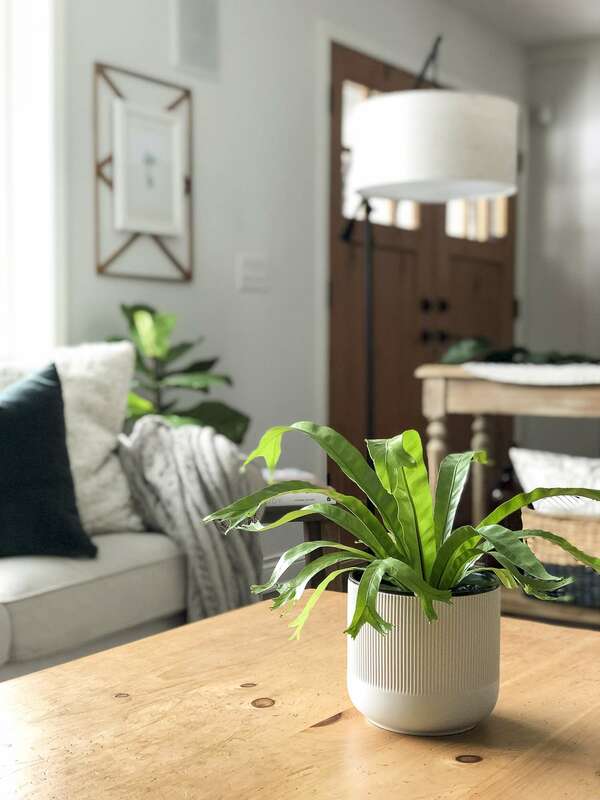 This is such a simple way to spice up a space that is feeling boring. I feel like I have a whole new room without spending a dime. 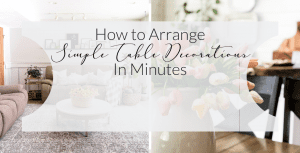 So if you have a space that you have grown tired of, try changing your furniture layout! 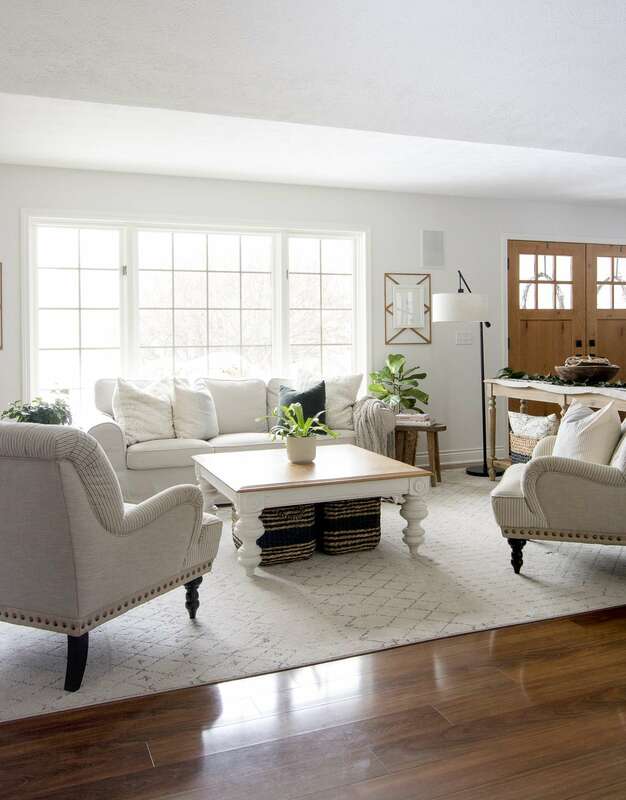 It might just be the simplest way to create a whole new room! 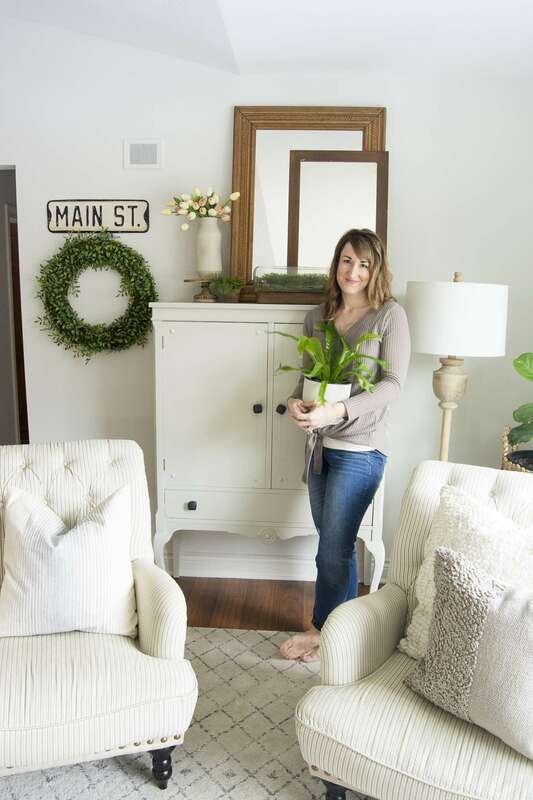 You can shop similar items from my farmhouse living room furniture design below! Simply click the affiliate image. I love the new arrangement. I really does look more open and inviting and you are right. The backs of your chairs are gorgeous. Thank you so much! I’m so glad you like it too. I love to read these type of blogs. It’s really very interesting and informative. I also have a very nice and attractive piece of living room furniture which I bought online at very affordable price.